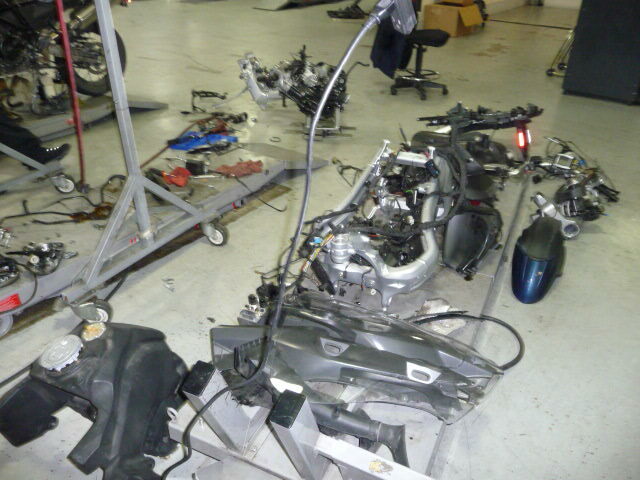 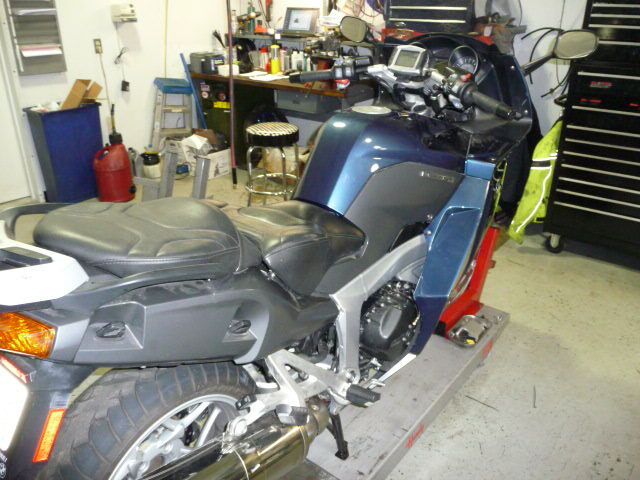 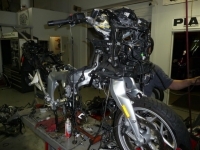 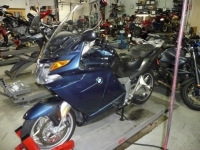 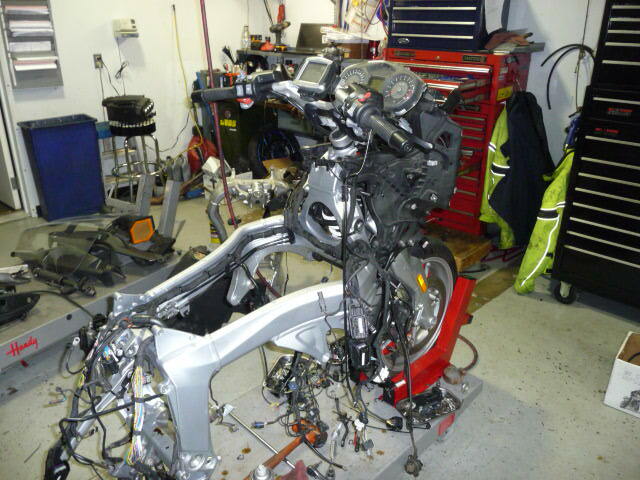 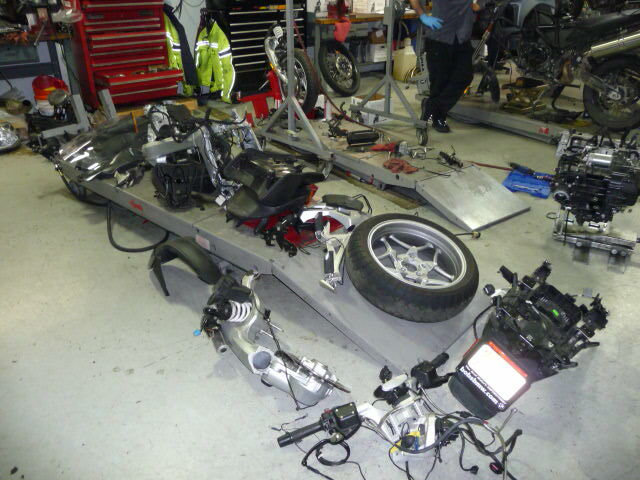 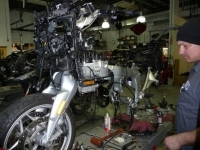 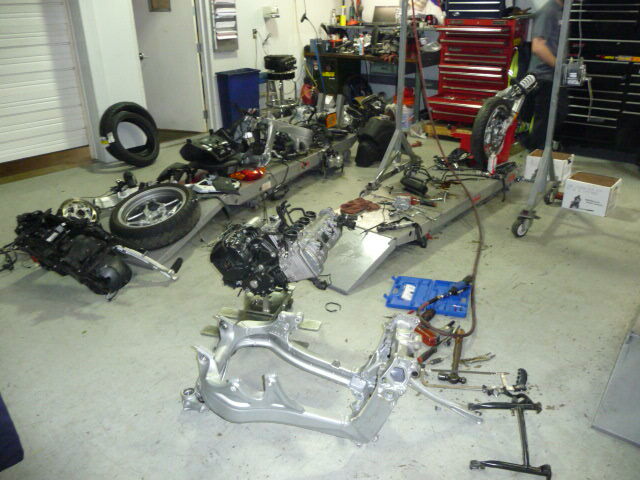 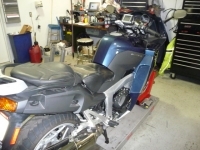 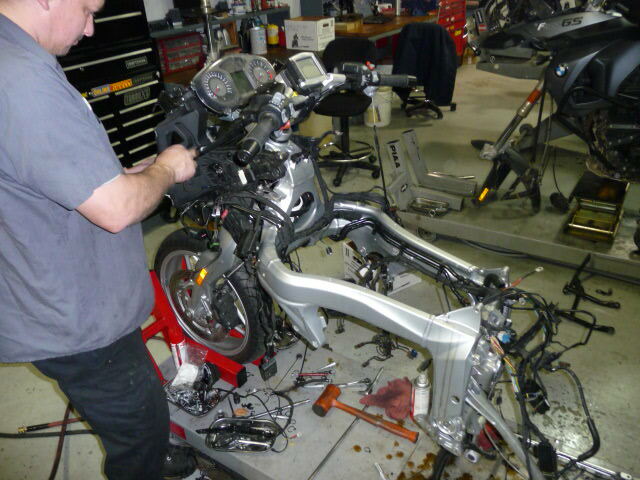 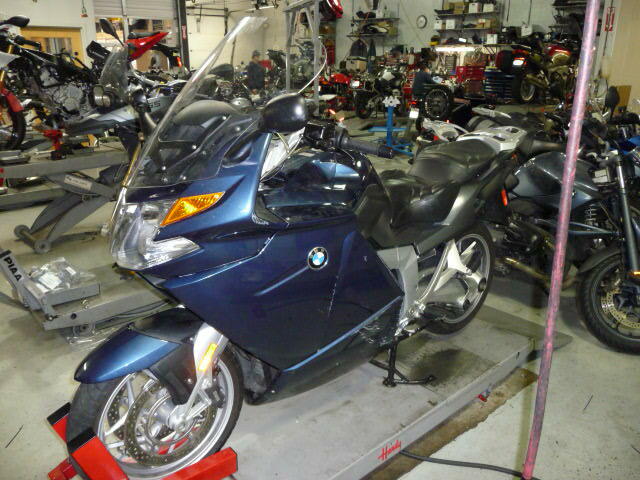 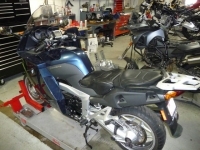 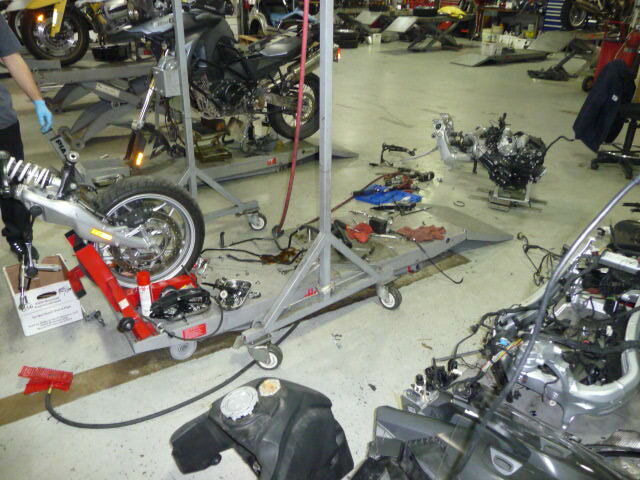 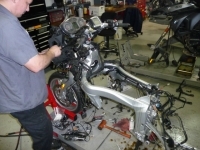 This is a 2006 K1200GT that was parked and hit by a car as a result the frame was bent and we replaced it. 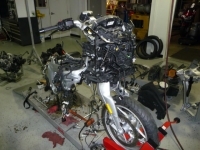 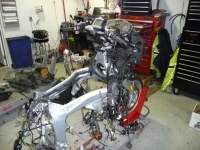 The first pictures are of the bike completely taken apart the rest are the reassembly to the final pictures of the bike completed. 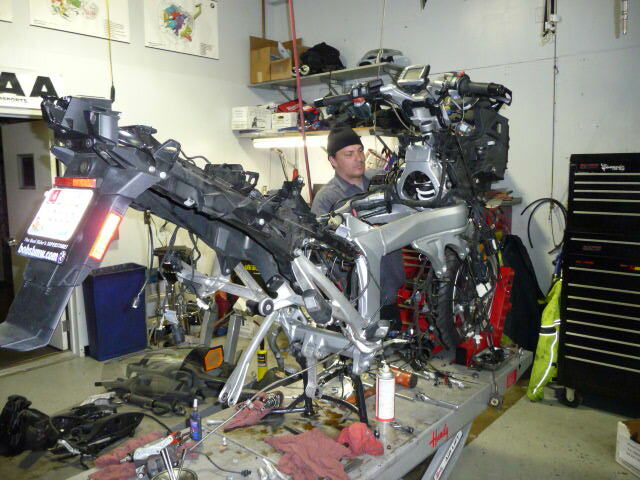 Chris the technician started Friday 1/18/13 and completed it today less the final test ride 1/24/13.